A huge part of the integrated development of the warrior has traditionally been the practice of meditation. This ancient practice was first taught to Greg Amundson by his longtime mentor Mark Divine, a former Navy SEAL Commander, and subsequently reinforced by world renowned Yoga teacher and former US Army Ranger Rolf Gates. Is it a coincidence that two impeccable warriors would make a similar recommendation to Coach? 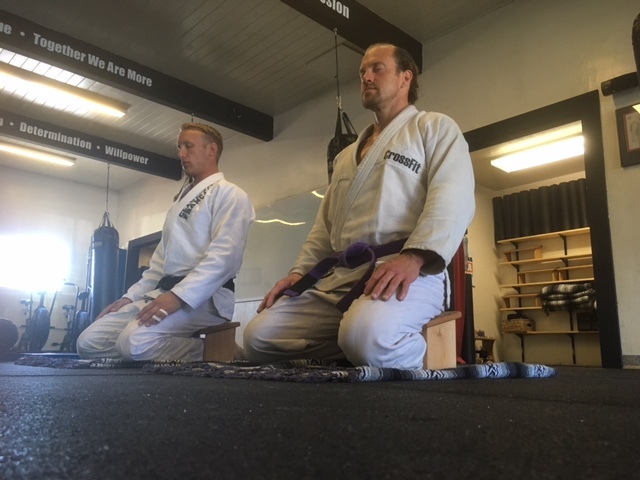 For this reason, Coach has integrated meditation, along with the repetition of mantra, affirmation and prayer, into his training sessions with such modern-day warriors as Nathan “The Champion” Mendelsohn, UFC Legend Gray “The Bully” Maynard, and 6 x World Champion Boxer, Robert “The Ghost” Guerrero. Stay posted for a special seminar on meditation and breathing practices that Coach has in store for our gym.